A box of 5 rolls of adhesive-backed label paper for SUD-L250AB, SUD-L250AC, SUD-L450VA and SUD-L500VA (≈30 waveforms per roll). Ultrasound Accessories can be found in our extensive online collection of products from globally recognized and trusted brands, including Summit Doppler. 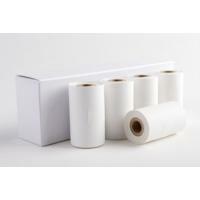 An excellent option to consider is the ABI Printer Label Paper, 5 Rolls (30 Waveforms Per Roll).